2018 has ended and a new year has started again. This makes for an ideal moment to take a look back and a look ahead. To share with all of you, our fans and stakeholders, where we are in our journey with Salesflare. During the past year, the Salesflare team continued to work on its mission to help small businesses build better relationships and make more sales. Building software that makes it even easier and less work intensive to build these relationships properly. It was another year on our journey to build a CRM made for humans. 2016 was the year that we opened up Salesflare for anyone to sign up for a trial, after building out our product step by step and after personally onboarding every single customer. 2017 was the year when we launched big. We became the most popular CRM on Product Hunt, grew super quickly and landed a video interview on TechCrunch. Salesflare featured as the main update on the TechCrunch homepage (Dec 2017). 2018 was the year where we matured as a product and as a company. We made a ton of improvements across the board to get everything up to the high standards we set for ourselves, aiming to redefine what it means to build a great CRM. Before we do that however, let’s have a look back at 2018. Our main activity is building a great product. 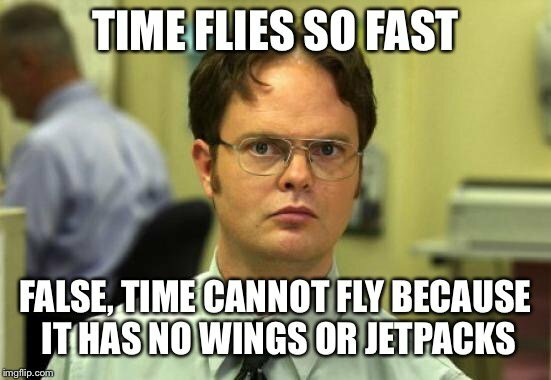 And that’s what we’ve been focusing most of our time on. In 2017 our product found its fans, so we doubled down in 2018 to make that product work even better for all the fans. Our email integration was built on a third party system that was sometimes slow and unreliable, so we took that system out of the equation and built Salesflare straight onto the Gmail and Office 365 APIs. The result: super fast updates and performance, especially when compared to our main competitors. Our power users told us that they were often updating records one by one, so we saved them a ton of time by building a bulk actions feature that applies a large series of changes at once… instantly. Many people asked for advanced ways to sift through and segment their customer data, so we built the most powerful yet easy to use filtering system around (currently in the latest beta stages – ask us on the chat to join). It supports just about any filtering use case you can think of, while staying simple and delivering results instantly. And it can be used for automation and for the aforementioned bulk actions. Europe introduced new and better rules to protect your personal data (the GDPR), so we took that as an opportunity to implement even higher standards of data protection across the board. We’ve improved the email automation and its analytics and personalization features, made snoozing tasks way faster, introduced a contextual help system, improved the onboarding, made it easier to import and export, worked on our integrations and launched a marketplace, … and lots of other large and small improvements that one by one improved the overall Salesflare experience. To bring our product team closer to the customer, we’ve introduced the “support hero” system. This means that at any moment we made at least one developer available to look into issues and provide technical support where needed. To make sure we didn’t only focus on new features and on bugs, we introduced the concept of “UX improvements” and we gave it top priority. This dramatically improved our focus on making the easiest to use and most helpful CRM product. We optimized our issue management to set better priorities, process customer feedback efficiently and ship the more important fixes and improvements quicker. On top of that, we researched customer expectations and talked to a ton of customers. We investigated why people use Salesflare, what the core value is that we bring and what the main things are we can improve upon. To complement our product and empower our users, we’ve created a large amount of in-depth how to articles and a series of short how to videos as well. On our blog, we started producing 2 pieces of high value content per week. We introduced a personal interview series with high profile founders called Founder Coffee, investigated what makes Iconic Products so iconic, wrote a few articles about how we work at Salesflare, and much more helpful content for our customers. To streamline and automate a part of our content processes, we moved onto StoryChief, an awesome piece of content publishing and distribution software. Our (already positive) NPS doubled in 2018. We were ranked as a High Performer by G2Crowd every season. We were also ranked in the top 3 (across all CRMs in the world) for all different product measures identified by G2Crowd (for implementation, relationship, usability and the total result). 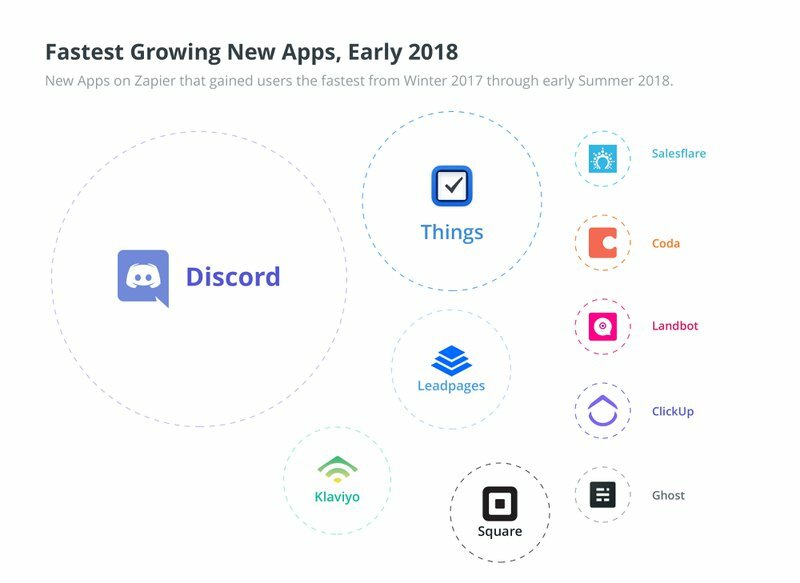 We were featured as one of Zapier’s 10 fastest growing new apps. Our customer base also grew steadily and doubled throughout the year, while we were not even stepping on the gas pedal yet and almost fully relied on organic traffic. We secured extra seed funding from angels, got subsidies for the innovative product development we’re doing, and nicely grew our revenue. All this together enabled us to move straight towards a Series A round without going through any institutional funding rounds to date. 2018 was a great year of laying a strong foundation for the years to come. A foundation we’ll happily build upon in 2019. If 2018 is the year in which we’ve finalized our rocket and launchpad, 2019 is when we calculate our trajectory, fuel up and fully launch into the CRM space. This means that in 2019 we’ll be focusing on growth across all areas. On the marketing level, we’ll be expanding on our current marketing channels and testing out new ones to hit much bigger growth targets. We’ll test out new ways of reaching customers and offering value to our customers. And we’ll build out more and more partnerships. More interesting for you: on the product level, we’ll focus on delivering you more awesome features way quicker, on making Salesflare even stickier, and making you and our other customers happier than ever. On the team and organization level, we’ll work on organizing ourselves even more effectively, personally and as a team, to make all of this good stuff happen. And we’ll further automate and outsource non-core activities to be able to fully focus on our goals. If you already thought we were crushing it in 2018, be prepared for what you’ll see in 2019. If you were not using Salesflare yet or not getting all the value, we’ll do all our best to change that. We wish you the very best in 2019 and we sincerely hope we can be part of your success! If you have suggestions on how to do that better or you just want to connect, hit us up on the chat. We’re always there for you.